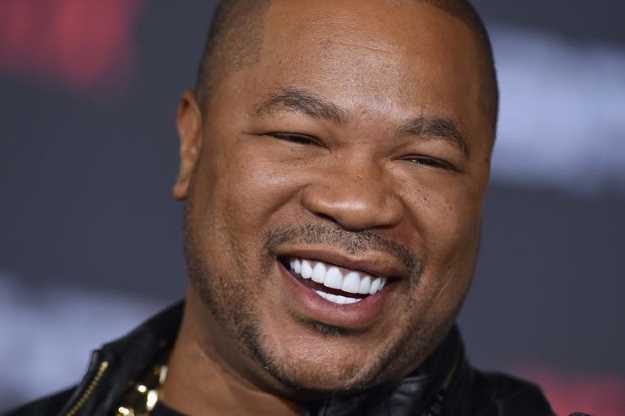 "I can drink a whole Henessey fifth," raps Xzibit, on his classic banger "Get Your Walk On." "Some call that a problem but I call it a gift." That track is but one of many hits from X's Restless album, joining the likes of "Front 2 Back," the Dr. Dre assisted "U Know," "X," "Best Of Things," and the excellent Eminem collaboration "Don't Approach Me." When that album first dropped on December 12th, 2000, many were only starting to get to know Xzibit. That's not to say the rapper wasn't already making moves, having dropped off two underground bangers in At The Speed Of Life and 40 Dayz & 40 Nightz. Yet there was something about Restless that spoke to a generation, and helped solidify Xzibit as one of the era's prominent voices. I had just finished up insmoketour, and was feeling on top of the world. It was time to record so I went to the studio and released all the energy that I had built up over two years touring performing recording with the greats. When I was finished with the record, We were trying to figure out the title of the album, DRE saw the tattoo on the back of my neck and it said "Restless", he said that's what you should call the album. Mr Cartoon did that tattoo, little did I know it would turn out to be the title of a life altering experience. 18 years ago this album came out and changed my life. Thank you for the love thank you for the support I'm glad you guys enjoyed it as much as I did making it. Congratulations X! Restless was a classic, and deserves to be celebrated accordingly. If you're looking to relive some of the era's finest music, be sure to check out the project in full. With a truly stacked guest pool of Dr. Dre, Nate Dogg, Eminem, Snoop Dogg, DJ Quik, Tha Alkoholics, KRS One, and more, Restless epitomizes the post-Up-In-Smoke era, a true testament to The Platinum Era. For more from X, be sure to check out our interview right here.